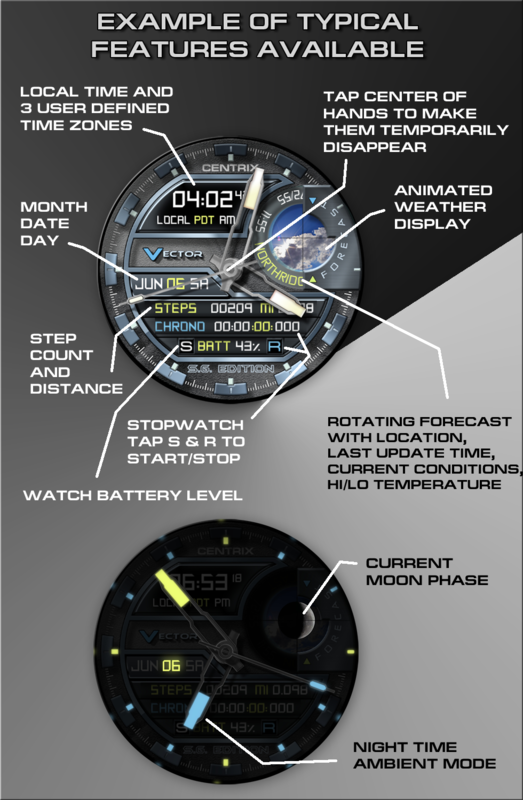 Creating innovative and compelling Android Wear watch faces. Extra-Ordinary Smartwatches ~ See what your Android Wear Smartwatch can really do. Step into the future. Step into the Light. 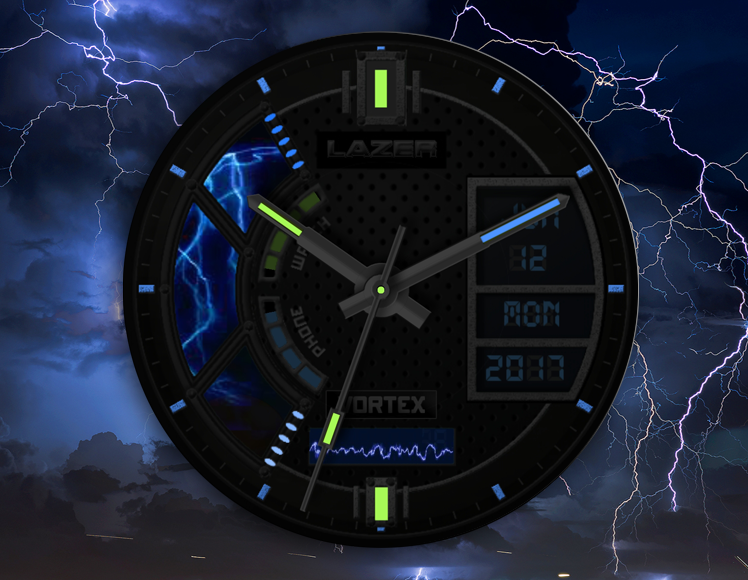 Most of the Watch faces featured throughout this site will require the Android App Watchmaker as well as an Android Wear OS compatible smartwatch. Watchmaker App also works with Samsung Tizen OS. Features found on most of our faces; Amazing Ambient Modes that sense the night coming and start to brilliantly glow with a myriad of colors, Animated Weather showing Current Conditions, High/Low Forecast, Step Tracking, Chronograph, Multiple Time Zones, Darkness Filters to control brightness levels and much more! Want to See More? Click any banner below! !